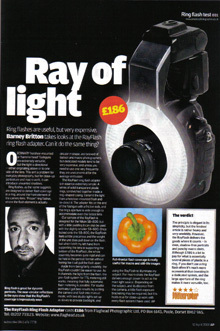 The RAY FLASH Adapter is a very affordable way to achieve typical ringflash lighting quality normally only available to studio flash equipment users! 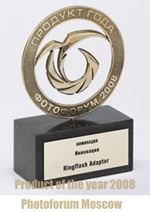 The unique RAY FLASH Adapter was developed by a professional photographer from the Czech Republic. It was designed to be as light and as portable as possible. There are no electronics, no flashtubes and no cumbersome cables! 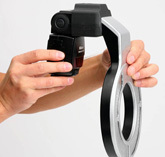 It uses a clever system of acrylic light channels and reflectors to distribute the light emitted from the flash unit evenly around the large diameter of the ringflash adapter. This creates the same lighting effect normally only available from ringflash units made by studio flash equipment manufacturers, which are expensive, heavy and tethered (they have a cable from ringflash to power pack). 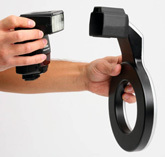 The RAY FLASH Adapter creates a very special lighting effect: a "3-d shadow-wrapped look". Because all light originates from the front, i.e. from around the lens, it produces a virtually shadow-less look on the front of your subject, while a soft even shadow appears around the edges. It is ideally suited for fashion, portrait, beauty, wedding & macro photography as a main or fill-in light. The RAY FLASH Adapter does not change the colour temperature of the flash that powers it and the additional weight can easily be accommodated by the on-camera flash unit. 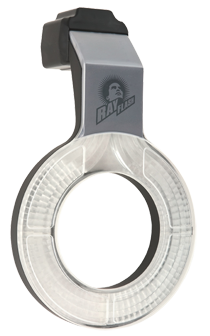 The RAY FLASH Adapter is made to fit the Canon 580EX , Canon 580EXII and Nikon SB-800 , Nikon SB-900 flash units and due to the its large inner diameter the ringflash adapter will accept almost all lenses from Nikon & Canon. For model range see chart below. Exposure control: when using Canon or Nikon cameras (or their derivatives) all TTL functions are operational as usual, as well as manual mode. 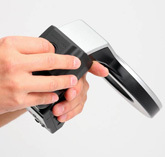 In MANUAL control of the exposure is by use of a light meter or through test-shots on a digital camera. Light output: The Ringflash Adapter is very efficient and the loss of light is surprisingly low! 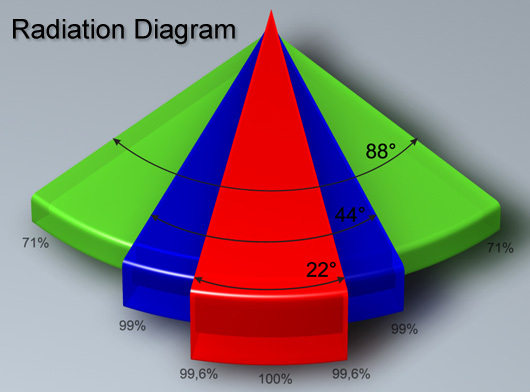 There is a difference in light efficiency between the SIRC and the RAN/RAC models, the latter being more efficient. The Ringflash Adapter is mounted to the front of a portable flash unit, for example Canon 580 or Nikon SB800, and it is small and light weight enough to allow complete mobility! Canon & Nikon each make a large range of camera models and they have different body heights, which affects the difference between the centre of the bayonet mount (optical axis for the lens) and the hot-shoe. We list the camera models with the RA that gives the best position for the lens, i.e. lens is in the centre of the RA or as near as possible to the centre. But actually you can use almost all camera/lens combination with most of the model range! In fact people often buy a different RA model to that recommended, because the model they want is not available yet and they don't want to wait OR a photographer might have several different bodies or he/she may be planning to buy a different body soon. For instance the D1/D2 can be used with the RAN160 and the 170 (the lens would be more central with the 170). The fact that the lens is not central is only a cosmetical issue, but technically makes no difference to the light output or quality. The new D3 is the highest body that Nikon have made so far and that can realistically only be used with the RAN170 to accommodate almost all lenses. BUT we have used the D3 with a few lenses that are relatively small in diameter and that works fine, however the "fatter" zoom lenses would not fit physically into the RAN160. D3 lens is below centre, but all prime lenses will be ok, and some zoom lenses, but the "fatter" zoom lenses will not fit into the ringflash adapter. The D3 should ideally be used with the RAN170! 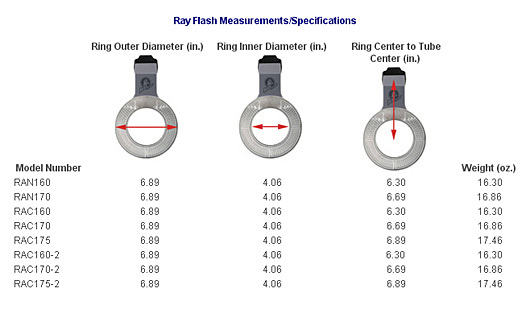 At the moment there are no plans to introduce a RAY FLASH Adapter for other types & makes of flash units.